If you use Fedora GNU/Linux, and you want bash autocompletion for the hosts in your FreeIPA domain when using the OpenSSH client, you have to disable knownhosts hashing in the global knownhosts file. The file displayed here is the default on Fedora: /var/lib/sss/pubconf/known_hosts. Now, to disable the hashing inside that file, you have to configure sssd. I don’t know at what version the dot-dee directory for sssd.conf was introduced specifically (other then when it is compiled with libini>=1.3.0), but mine had it as of Fedora 27 and sssd-1.16.0. But with this entry in the config, restart sssd and maybe delete the previous /var/lib/sss/pubconf/known_hosts file which will be re-generated as it needs it. To hide all the cruft, you can exclude the filesystem types. I learned df on AIX UNIX, so I never bothered to read the man page for gnu df. When I am updating or adding to my scripts package, I like to find out the fastest way to execute a task. This involves using the time command and a few wrapper functions. Here’s an example. I was updating my lsd (list directories) function, and I wanted to see how fast it is compared to a variant I was considering. Don’t use target=”_blank” because that forces only one behavior, opening in a new tab. I should expect the user to open a link in a new tab if he wants to. Don’t omit the referrer, which is done by including rel=”noreferrer”. I want other sites to know who is linking to them, in the hopes of getting cross-traffic. Do include rel=”noopener” to protect users (reference 1). I connected to a gnome session on a terminal server, and disconnected. I wanted to reconnect to my current session, but apparently I got a new X session. After some research, I learned you can configure xrdp to prompt for the port number so you can get back to the previous session. However, then you have to know what to type in. After doing a manual ps and netstat, I found some useful numbers. What I needed to enter was the tcp port number, so 5919. You can have an entry in the /etc/xrdp/xrdp.ini file like the following block. 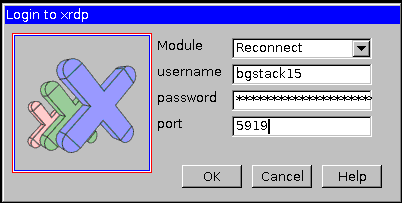 When you connect over RDP, select the “Reconnect” module and type in a port number, which you can find from the output of the oneliner. 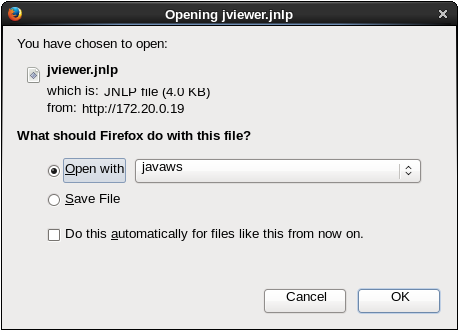 If you are having trouble opening a jnlp file (e.g., for IPMI console access) you can try some of these steps. 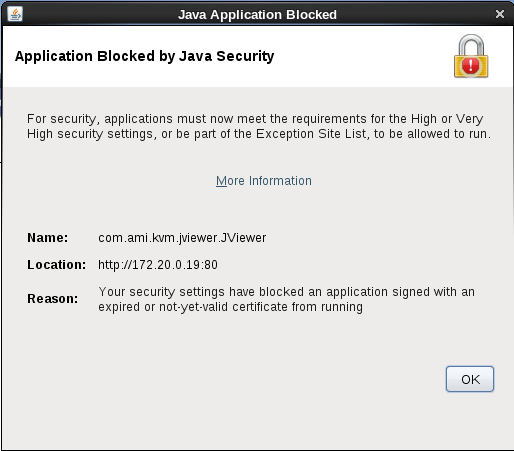 If you get “Application Blocked by Java Security” you can fix that by editing an exceptions list. I wanted to know if a user is defined (getent), and if so, in which database (local or in Active Directory). Also, is the user in the AllowUsers list of the sshd_config, or a member of a group in the AllowGroups list. And then the same question for the sssd config file. When you work with openldap clients on GNU/Linux, you might have to interact with Active Directory. And you want to secure your connection with ssl. Or you could set “TLS_REQCERT allow” in the conf, but you decided that you actually want the trust to work, for once. I’ve written a script that takes all the files in /etc/pki/ca-trust/source/anchors/ and makes symlinks to them with the right filenames in /etc/openldap/cacerts/ directory. Then you can just set “TLS_CACERTDIR /etc/openldap/cacerts” and be done.